“It took me months to find a product that Lucy has finally liked. My older dog refused to transition to the fat reduced diet prescribed by our Vet. She eats her new food only after the spray has been applied to it. Also, her skin allergies are gone now, and the coat looks much shinier compared to what it looked before. The flakiness of the dry skin slowly disappeared within three weeks of using the spray”. “Our puppy Baxter came to our family as a malnourished and severely underweight puppy with mange. It took about four weeks of using this product for Baxter’s coat to become thick and shiny. He is now a healthy, playful and slightly chubby 8-months old puppy. 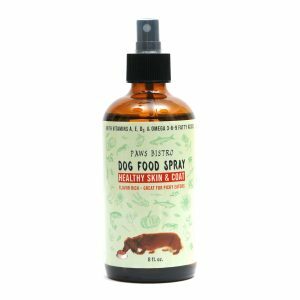 We add both – oil spray and seasoning to Baxter’s raw diet. His balanced diet keeps him ready for the day full of play and sleep”. 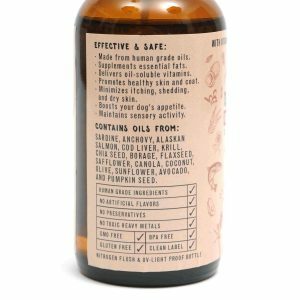 Can the Pet Oil Spray be used to train our puppy? Yes, this spray has proven to be effective for training purposes. 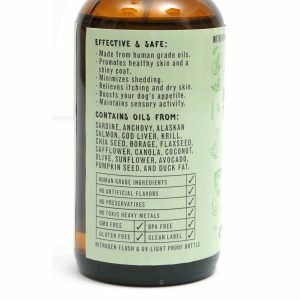 What health conditions do the oil spray and seasoning help alleviate? Our customers report reduced shedding, along with a boost in appetite after only two weeks of use. 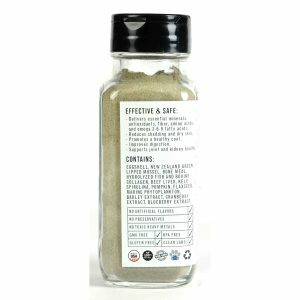 The nutrients found in Pet Food Spray and Superfood Seasoning minimize metabolic and cellular damage using a balanced blend of amino acids, enzymes, antioxidants, microelements, essential fatty acids, chlorophyll, fiber, proteins, carbohydrates derived from natural plants, sea, and animal-based sources. 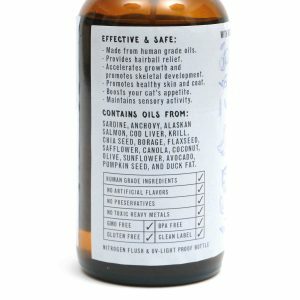 Are the ingredients in your products safe for our pets? 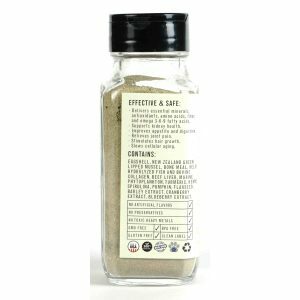 All ingredients used in our products are purchased from U.S.-based suppliers and come with the specifications and Material Safety Data Sheets that confirm their purity. 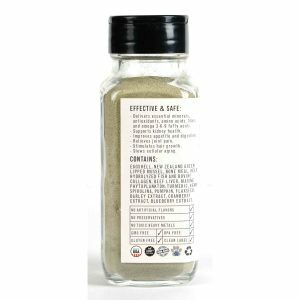 All ingredients and product batches comply with the stringent requirements for food quality for human products. 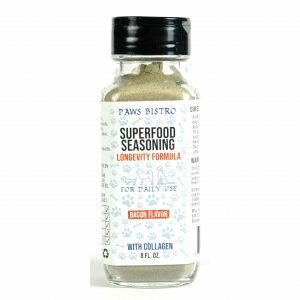 Paws Bistro offers products that support and enhance puppy and kitten growth, add to the coat shine of adult cats and dogs, and boost the appetite, health and well-being of older pets. 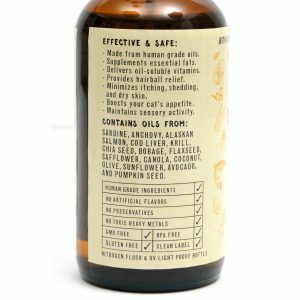 We also offer oil and powder-based food additives that balance the raw feeding regimen of a cat or a dog. Our products come in two forms – a Pet Oil Spray and a Superfood Seasoning. 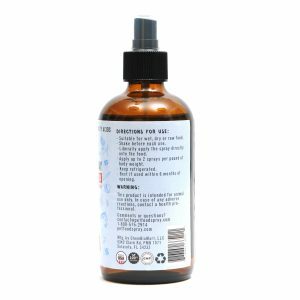 Both product types are formulated with the precise ratios of sea, animal and plant ingredients to keep your pet’s diet nutrient-rich and balanced. 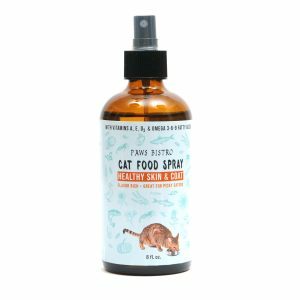 My cat and my dog both love this product. How much of it can I use per feeding? While we recommend using 2 sprays per pound of the pet’s weight for the oil spray, and a teaspoon of this product per 10 pounds of a pet’s weight per feeding for the seasoning, our products are, technically, food. 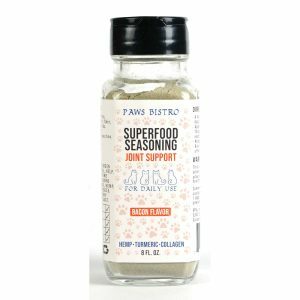 The Pet Food Spray and Superfood Seasoning have been formulated to enrich pet’s diet with the vital nutrients derived from natural sources. To this date, there have been no reports on the side effects from a regular generous application of these products to the pet feeding. 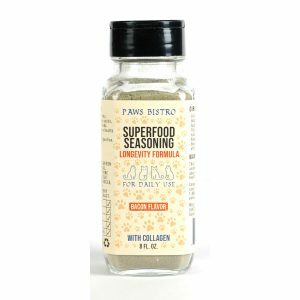 Are the Spray and Seasoning recommended for the raw feeding diet? 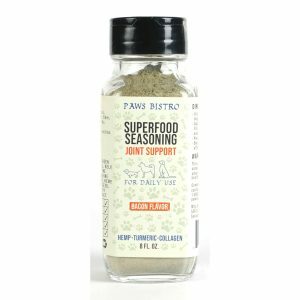 Both Pet Oil Spray and Superfood Seasoning have been developed to complement the raw feeding regiment. Raw feeding requires a source of minerals, collagen, healthy fats and fatty acids provided to the pet’s diet. 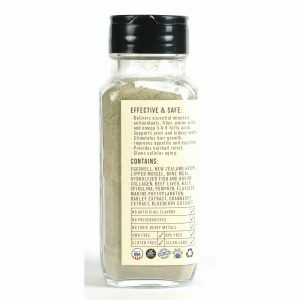 The oil and seasoning products are suitable for kibble, wet and raw diets for cats and dogs of all ages. 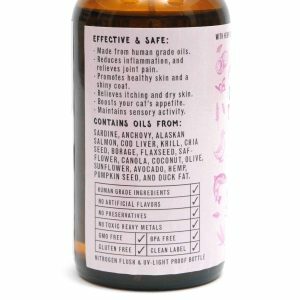 Also, note that our formulations for pain and anxiety relief contain hemp oil or hemp powder which has been shown to help alleviate pet anxiety. Where is Paws Bistro located? Our products are manufactured in a cGMP compliant facility located in Athens, GA. This facility is compliant with the FDA requirements for manufacturing of human grade food supplements. Are you a cat or dog owner looking to maximize nourishment for your furry family members? As a pet parent, you naturally strive to provide your pets with the best lifestyle options available. Meeting the pets’ needs involves providing them with ample exercise, safe toys, and of course, high-quality ingredients in their feeding.